*As I mentioned in my last post I started working on the family room, but my momentum has stalled and the room is probably less usable in its current state. Oops. I'm not sure how I managed to have more miles in February than in March, but that's what the spreadsheet says. I started riding my bike again to and from the parking lot, so that should help my miles. Assuming I don't die trying, that is. General consensus seems to be that I'm not riding far enough each day to enable my legs to get stronger, so it may never get easier (what??). 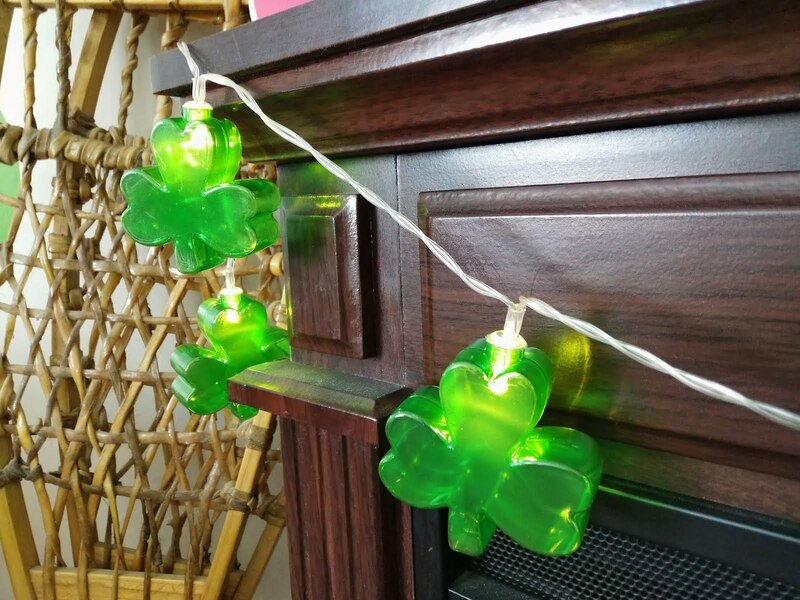 I finally found some St Paddy's lights for the fireplace. Yay! You are making progress! And yes, I think your legs WILL get stronger even with just a little riding--hope I'm right!